The Eric Scott Band will be on the Village Green April 5, 2019, beginning at 6 pm. Bring your blankets and chairs and come listen to some great music! Vendors will be busy setting up their booths for Spring Jubilee and enjoying the music too. Come see us in Downtown Pendleton! This event is free to the public. 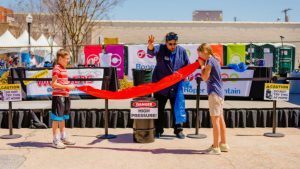 The 5th annual iMAGINE Upstate STEAM Festival will be held on April 6, 2019 in Downtown Greenville, SC featuring interactive exhibits and live stage shows from more than 70 STEAM (Science, Technology, Engineering, Arts and Mathematics) organizations. Hosted by the lovely Easley Farmer’s Market in the amazing city of Easley, South Carolina this event is a FREE family-friendly event. There will be Arts & Craft vendors, farmers market vendors, lots of local music, food, and fun. Sponsored by the City of Easley, Easley Farmer’s Market, Arts Council of Pickens County and the Easley High School Band Department. 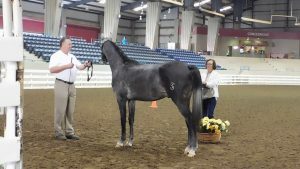 The 2019 Spring Plant Sale is open to the public on Saturday, April 6th, from 9:00 – 1:00. Mount Airy Downtown, Inc. is so excited to bring another Mayberry Food Truck Fest to you this April! Join us on Sunday, April 14, 12pm – 6pm and come hungry to enjoy good Food, Beer, Music & Mayberry! Vendor Applications are available now at http://www.mountairydowntown.org/mayberry-food-truck-fest.html This event is FREE for attendees! The vendor list will be posted prior to the event! Stay tuned! We’ll be hosting local makers. It’ll be part craft fair, part farmer’s market and overall a great day to shop in Travelers Rest! Mark your calendars! Join Anderson Mall as they celebrate spring and local artists, musicians, food, and community at this free festival! Art. Music. Food. Make plans to Eat, Shop, and Play with Anderson Mall as we welcome SPRING to the Electric City at this FREE community event! 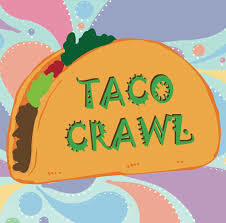 We are bringing back the Greenville Taco Crawl for the 2nd year. Yes, that is right! 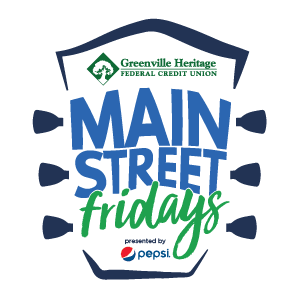 Come stroll throughout the heart of Greenville eating taco’s, checking out new bars, enjoying margarita & tequila specials, all while dancing your taco lovin’ butts off. Your General Admission Ticket Includes: 4 Complimentary Tacos (Tabs to exchange for tacos) Taco Crawl Koozie Exclusive drink specials at every stop (Margs, Beer, and Tequila) The Taco Crawl Signature Crawl Map Professional photographer and photo props DJs and entertainment to dance off the tacos & margaritas Fast service lines at every location (wristband only access to the taco line.) (No tab = taco) This year you can purchase extra tabs in order to get tacos but you cannot purchase tacos for cash or credit whie in our Taco Crawl line. VIP Ticket Includes all above plus: Signature Taco Crawl T-Shirt Hornitos Welcome Shot Upon Arrival Additional Complimentary taco (5 total) Early registration starting at 11am (extra hour of tacos & drinks) You also will be provided with a survey following the Taco Crawl to vote on the following: Best Tasting Taco Most Unique Taco Participating Bars:Participating Bars: Gringos Pour Taproom Chicora Alley On the Roxx DT’s Tavern City Tavern Ink N Ivy Greenville Cantina 76 – Greenville Jack n’ Diane’s TILT arcade bar Kilpatrick’s Public House Sharkey’s Pub *More to come / Subject to change** Need a Hotel? *More info to come* This is a rain or shine event! Refunds given 30 days from event. VIP Ticket includes our awesome Taco Crawl T-shirt (pictured below) as well as an additional taco ticket for all you taco lovers!! Sizes included: Small, Medium, Large, XL, 2X, 3X FAQ: Guided or Free Flowing? This is a free flowing event with 10+ restaurants serving delicious tacos & drink specials. We will have some stops that are just “party stops 21+” Do I have to go to all the stops? No! We’ll share the map in advance of what signature tacos are offered, what drink specials, and more. You can pick which ones you like. All within walking distance. After your 4 taco tickets have been used you can order additional tacos on own at our special price listed. What is this crawl like? Imagine Cinco De Mayo with all of margarita specials, tequila specials, and beer specials. BUT you get 4 free tacos + additional taco specials for only the crawlers. Is this event 21+? If you are under the age of 21 you must be accompanied by an adult. Some stops are 21+. Advice: If you are coming in large groups, it may be difficult for you to get tables for anything 4+ without a wait. Please be flexible and order at the bar, grab a drink, and get your taco. Have fun, grab a drink, and let’s get Taco’d!